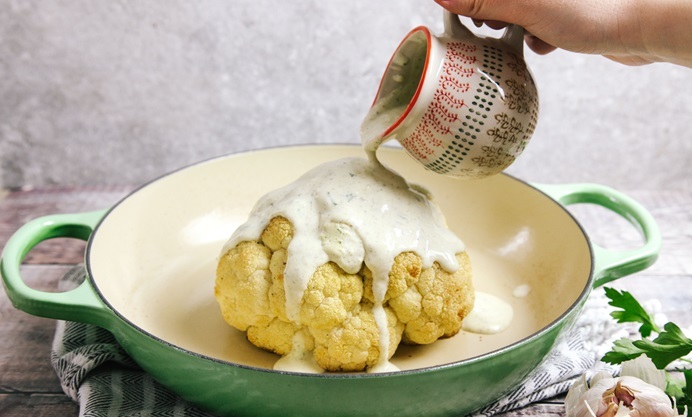 Aimee Ryan's whole roasted cauliflower recipe is served with a creamy herb sauce for a wonderfully comforting vegan main course. Partially cooking the cauliflower in vegetable stock before roasting ensures that you'll have a cauliflower that is evenly cooked throughout. It might seem unusual for a cauliflower to take centre stage on the dinner table but you’d be surprised how this humble vegetable can be transformed into a show-stopper! 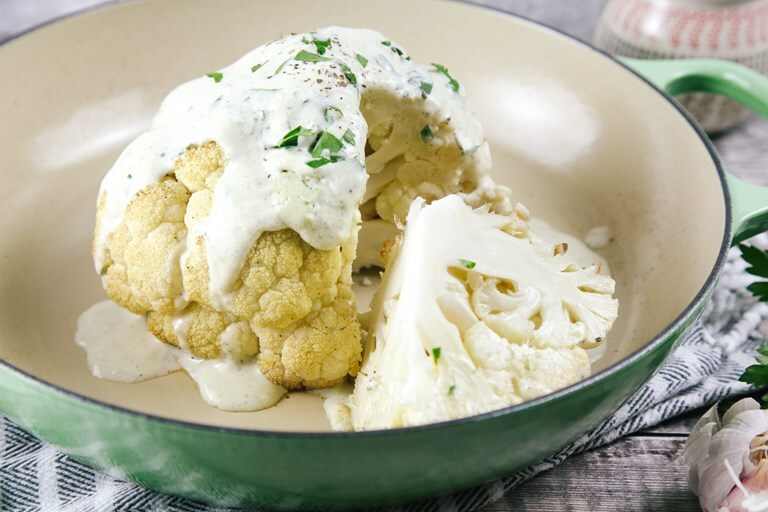 This garlic and herb sauce pairs beautifully with the cauliflower and is naturally vegan. Great for guests with special food requirements but something everyone will enjoy. To serve, place the cauliflower on a serving dish and pour the sauce on top, saving a bit extra in a jug for individual servings. Slice, serve and enjoy!